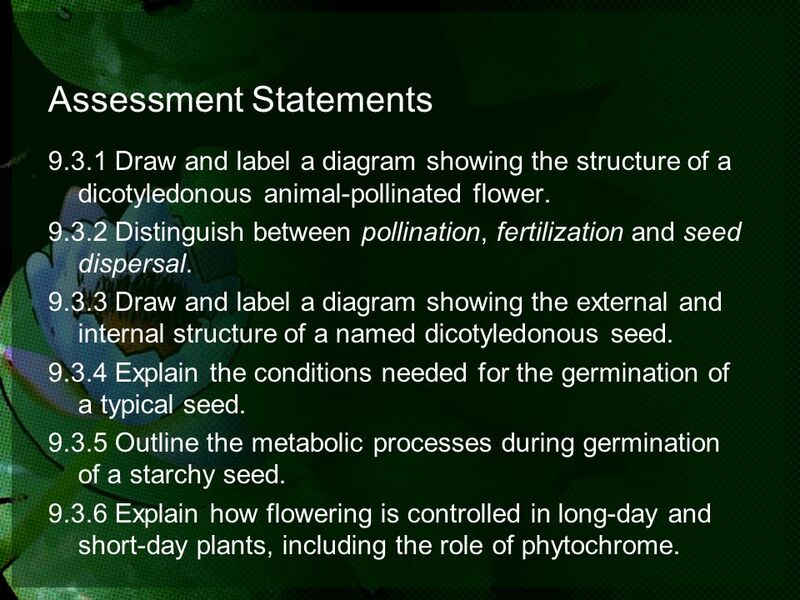 9.3.1 Draw and label a diagram showing the structure of a dicotyledonous animal-pollinated flower Distinguish between pollination, fertilization and seed dispersal Draw and label a diagram showing the external and internal structure of a named dicotyledonous seed Explain the conditions needed for the germination of a typical seed Outline the metabolic processes during germination of a starchy seed Explain how flowering is controlled in long-day and short-day plants, including the role of phytochrome. 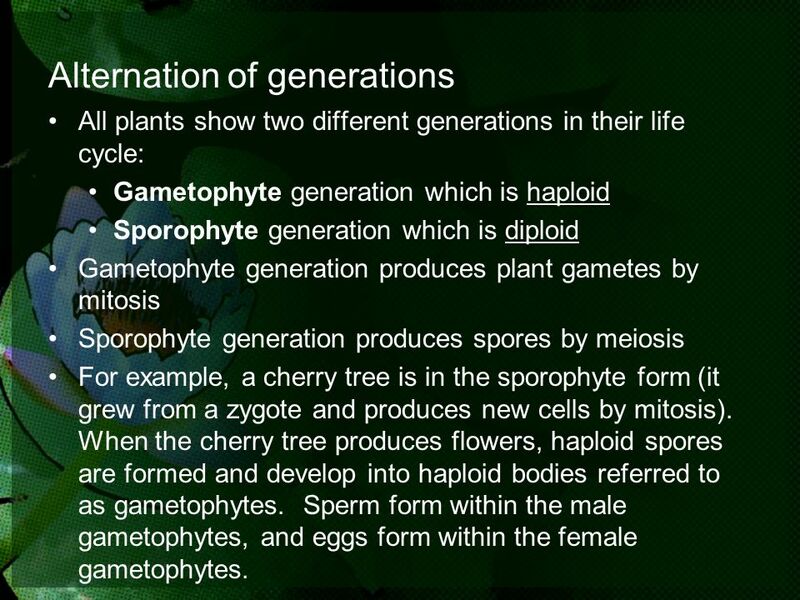 All plants show two different generations in their life cycle: Gametophyte generation which is haploid Sporophyte generation which is diploid Gametophyte generation produces plant gametes by mitosis Sporophyte generation produces spores by meiosis For example, a cherry tree is in the sporophyte form (it grew from a zygote and produces new cells by mitosis). When the cherry tree produces flowers, haploid spores are formed and develop into haploid bodies referred to as gametophytes. 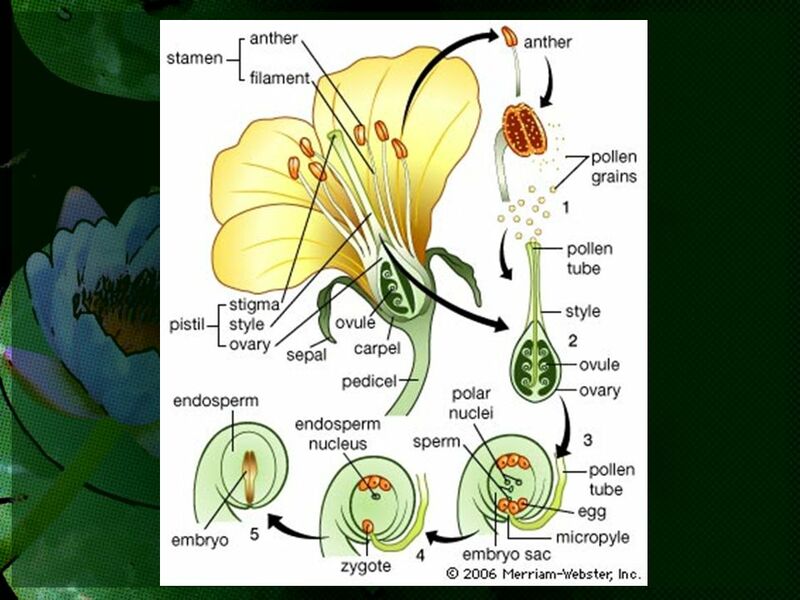 Sperm form within the male gametophytes, and eggs form within the female gametophytes. 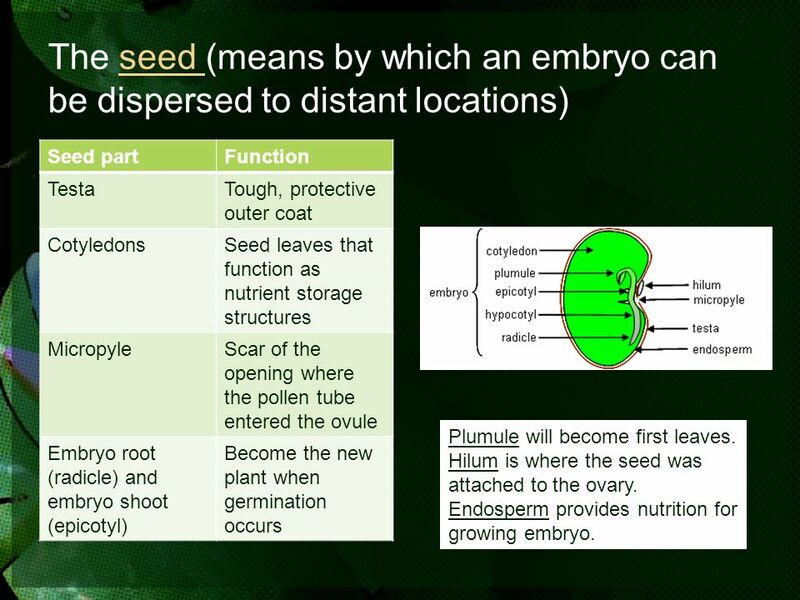 Seed part Function Testa Tough, protective outer coat Cotyledons Seed leaves that function as nutrient storage structures Micropyle Scar of the opening where the pollen tube entered the ovule Embryo root (radicle) and embryo shoot (epicotyl) Become the new plant when germination occurs Plumule will become first leaves. 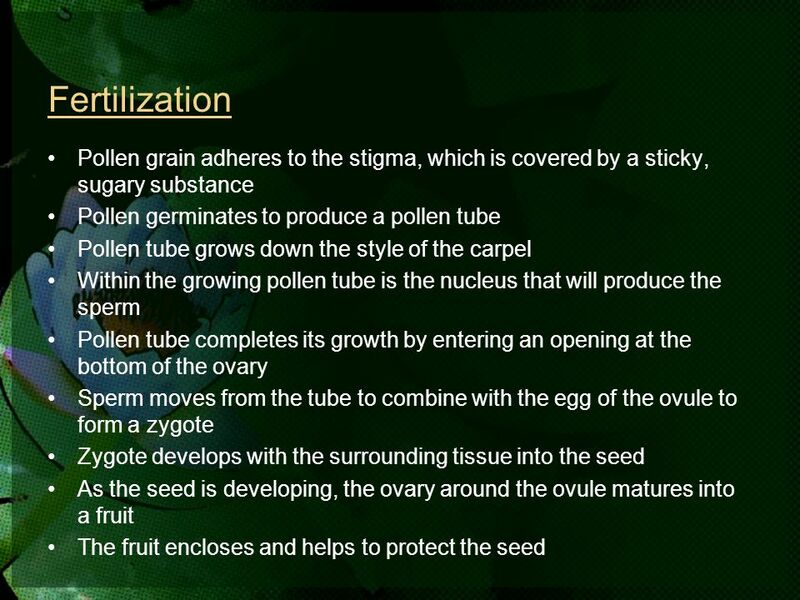 Hilum is where the seed was attached to the ovary. 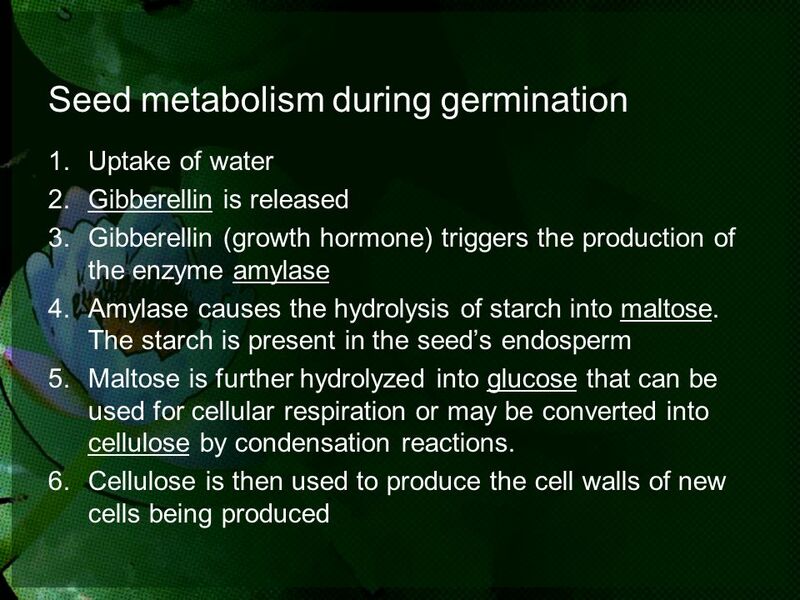 Endosperm provides nutrition for growing embryo. 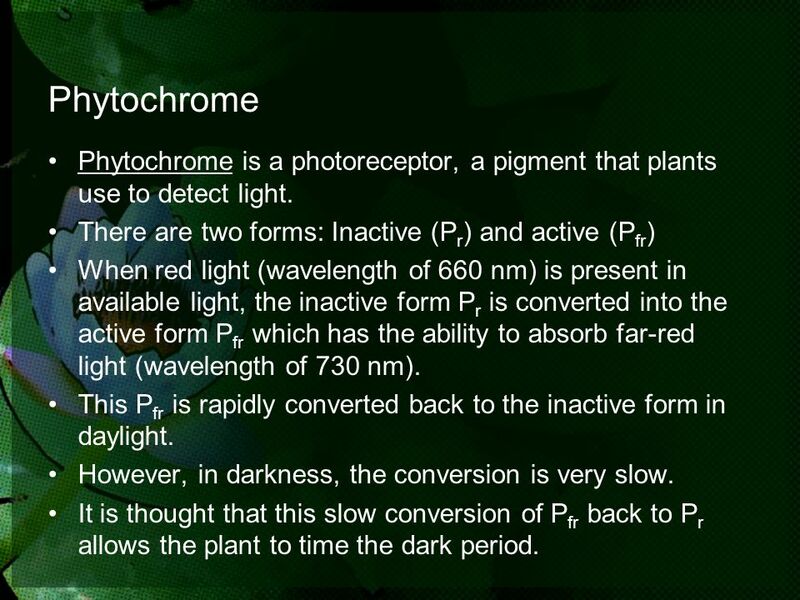 16 Phytochrome Phytochrome is a photoreceptor, a pigment that plants use to detect light. 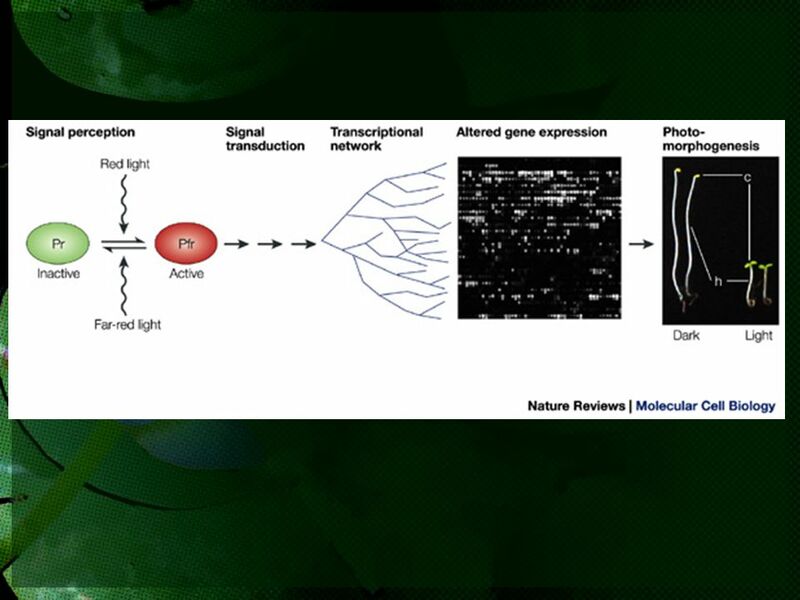 There are two forms: Inactive (Pr) and active (Pfr) When red light (wavelength of 660 nm) is present in available light, the inactive form Pr is converted into the active form Pfr which has the ability to absorb far-red light (wavelength of 730 nm). This Pfr is rapidly converted back to the inactive form in daylight. However, in darkness, the conversion is very slow. It is thought that this slow conversion of Pfr back to Pr allows the plant to time the dark period. 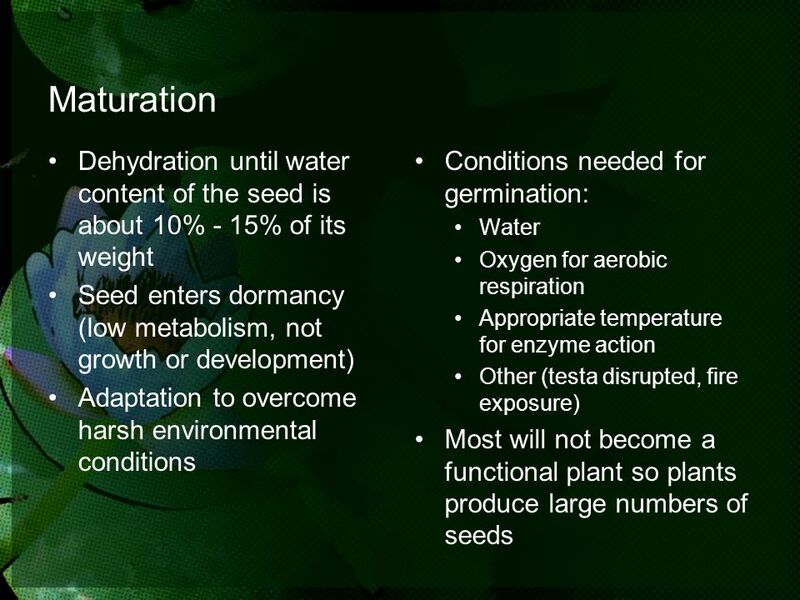 17 In long-day plants, the remaining Pfr at the end of a short night stimulates the plant to flower. 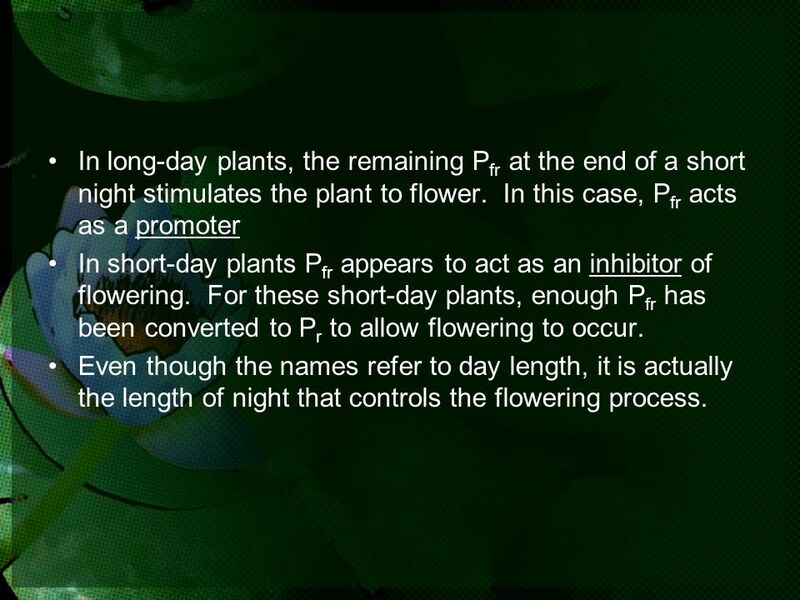 In this case, Pfr acts as a promoter In short-day plants Pfr appears to act as an inhibitor of flowering. 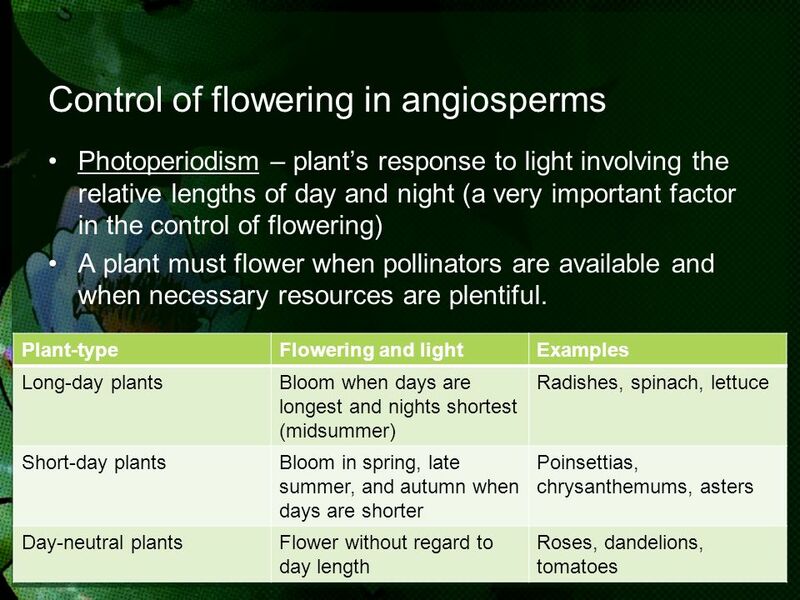 For these short-day plants, enough Pfr has been converted to Pr to allow flowering to occur. 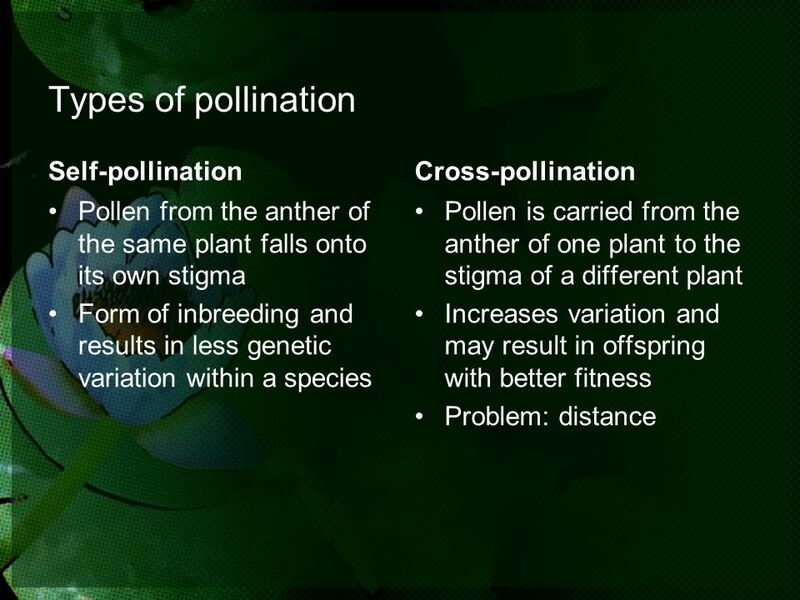 Even though the names refer to day length, it is actually the length of night that controls the flowering process. 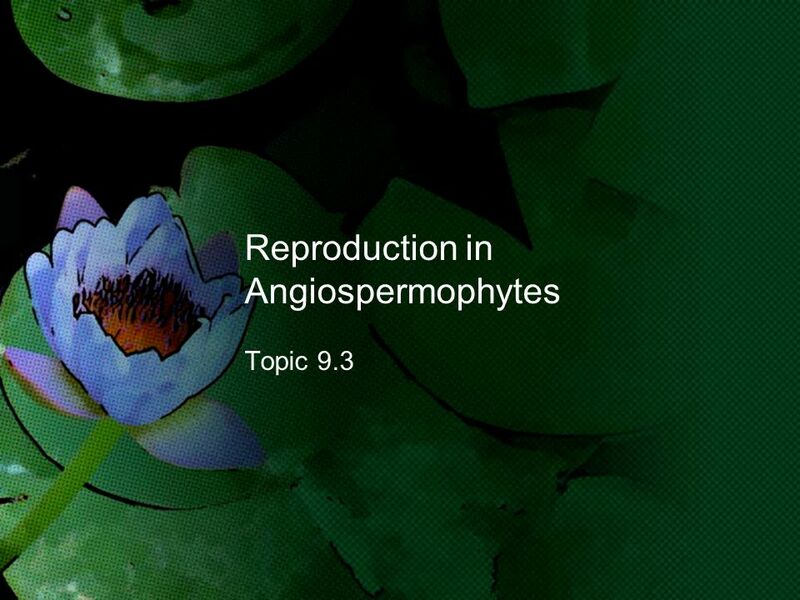 Download ppt "Reproduction in Angiospermophytes"
Flowers contain reproductive organs protected by specialized leaves. 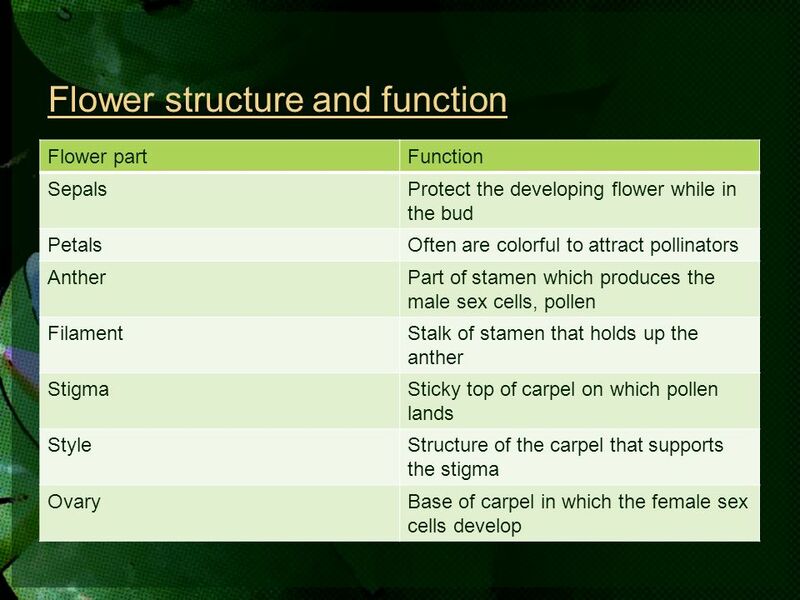 Classify Which plant structures are male sexual organs and which are female sexual organs Apply Concepts Relate the characteristics of angiosperms reproduction. 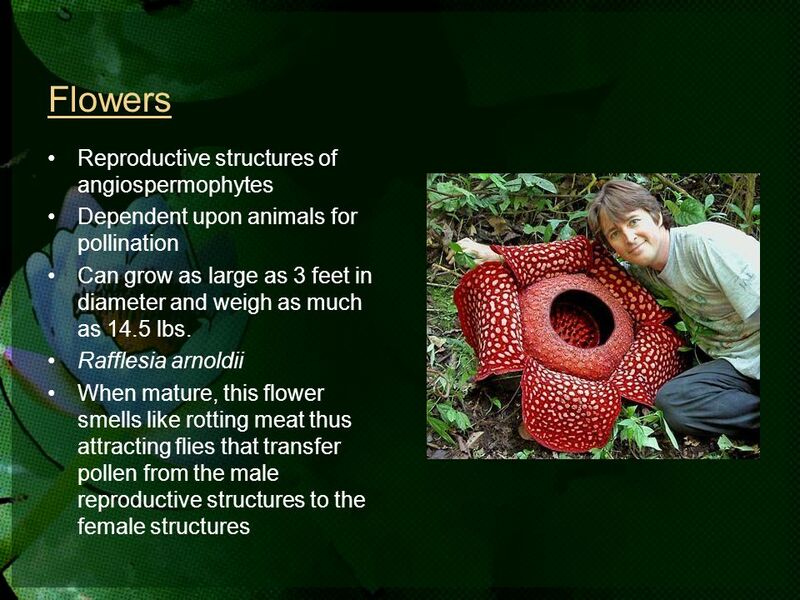 Reproduction in Flowering Plants Topic 9.3. Why flowers? They smell good They are colorful They produce tasty nectar They attract pollinators. 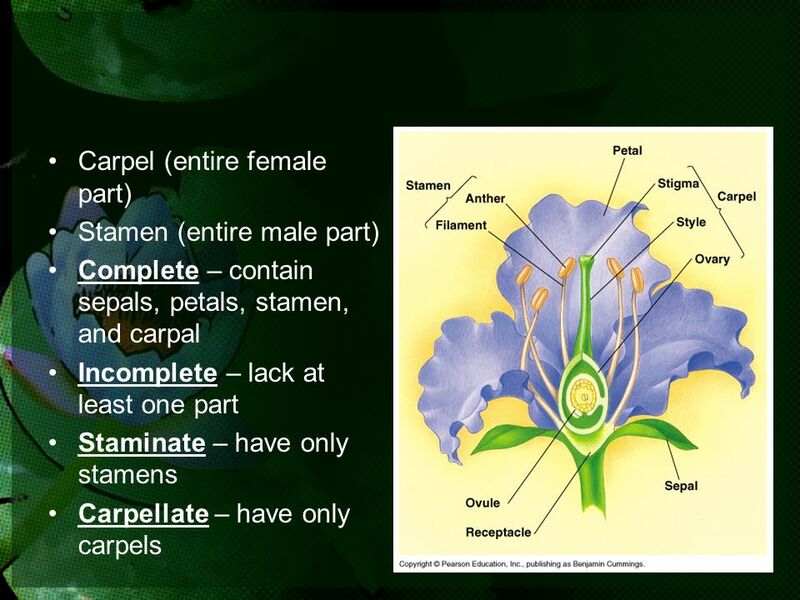 Sam’s List accessed Reproduction in Plants Reproduction in Plants Types of Reproduction. 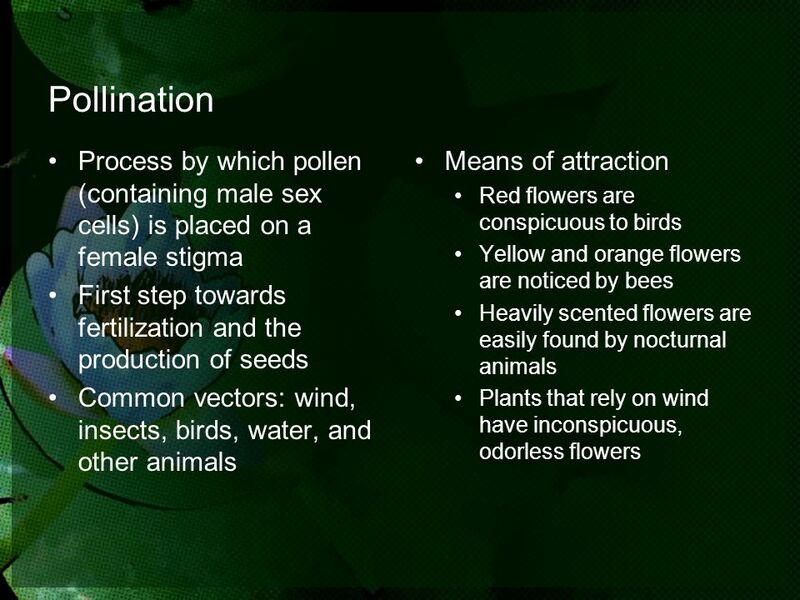 The Flower, Pollination, the Seed, and Photoperiodism. 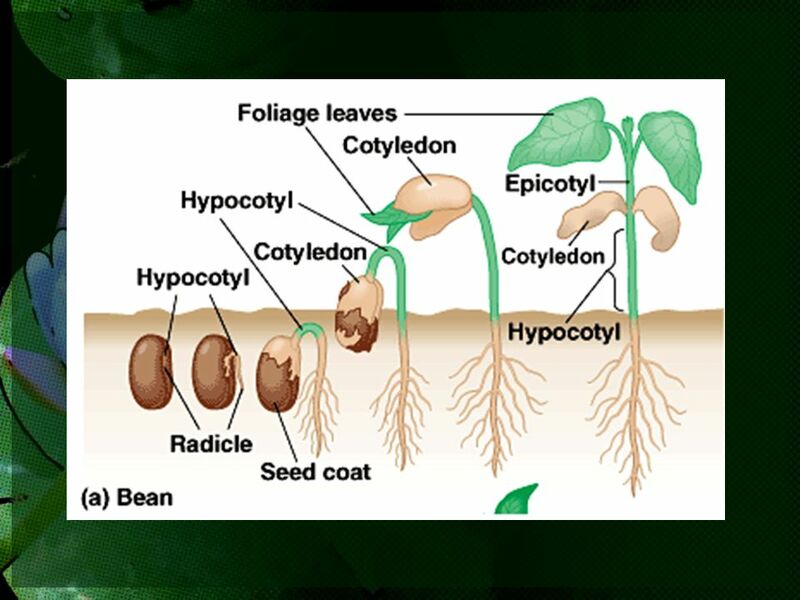 Seed Plant Reproduction & Plant Responses and Adaptations.